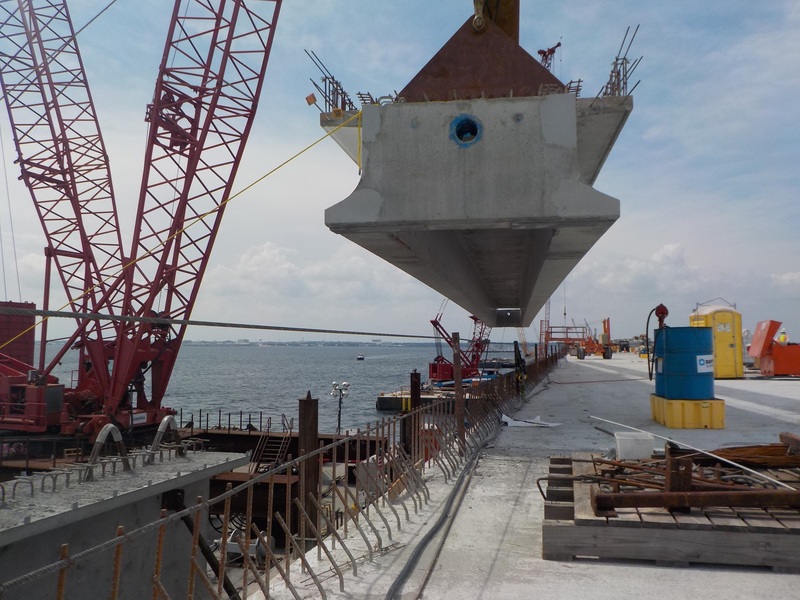 The first of 210 “pi-girders” are being placed for the new Pensacola Bay Bridge. Of all the components for the new bridge, these girders are the heaviest. 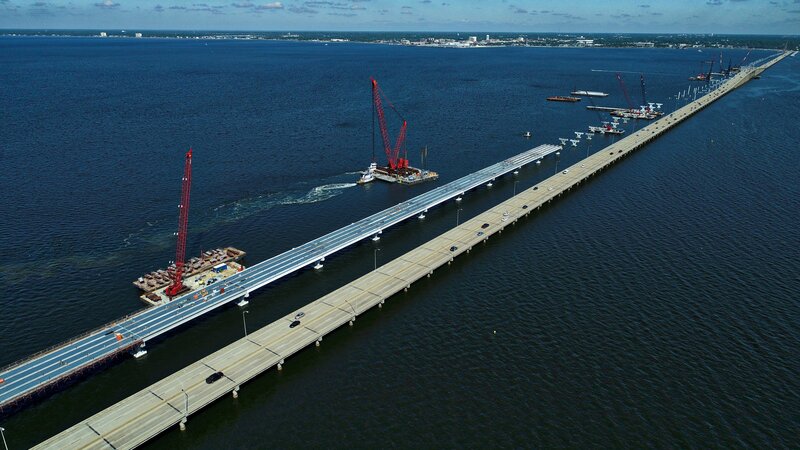 Each Pi girder is 150-long and consists of two beams and a section of the multi-use path. The girders weigh approximately 202-tons, or 404,000-pounds.